My Star Trek Scrapbook: Happy Birthday Bill! Happy 82nd Birthday to William Shatner, a man that makes the Energizer Bunny tired just watching him! Shatner brought a lightness to a role that could have been deadly serious, giving us a shooting, kissing, karate-chopping, bluffing and inspiring Captain that always led, never sent his officers into action. "Yeah, I'm kind of a big deal." 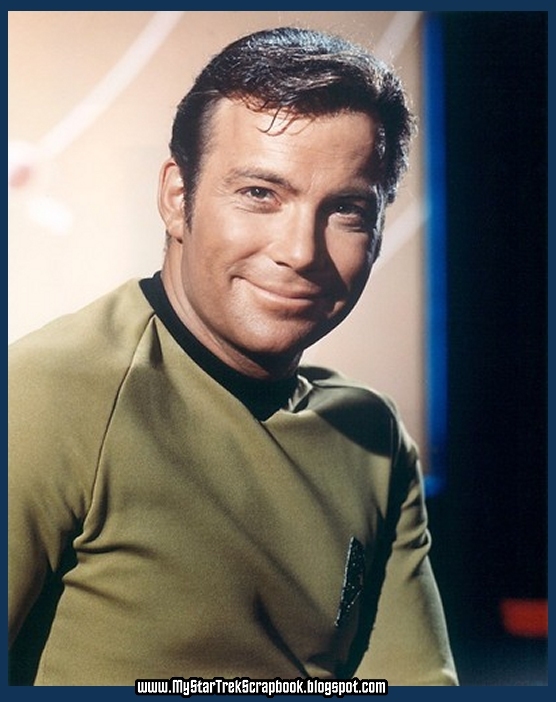 ﻿In honor of Bill, go back and view all of the Shatner-centric posts on this blog. The Power of Shat compels you!